The redesign of the Massachusetts Turnpike near the Allston interchange should be guided by landscape urbanism. 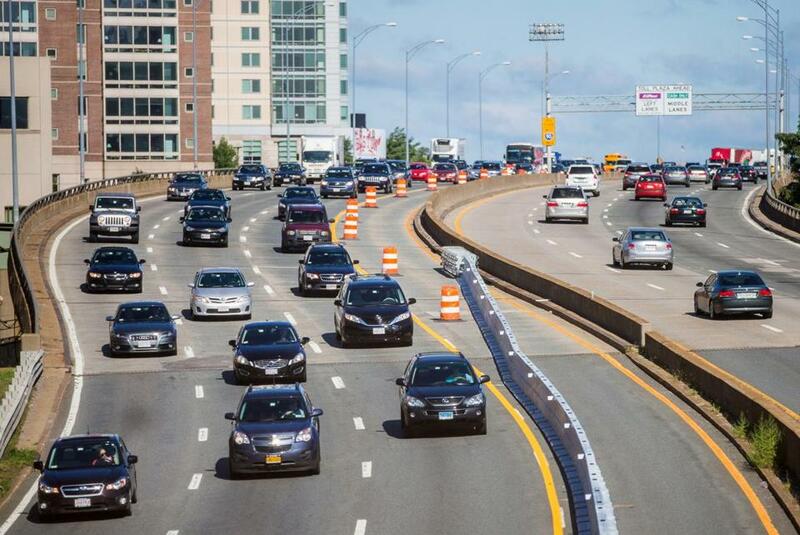 AS HIGHWAY projects go, the planned upgrade and straightening of the Allston section of the Massachusetts Turnpike is pretty straightforward. But the $260 million road project also has enormous potential to enlarge and reshape the parklands along the Charles River. Indeed, the overhaul of Interstate 90 at the Allston interchange is a once-in-a-lifetime opportunity to create a beautiful new space rich in public amenities on a wedge of land between the BU Bridge and the DoubleTree Suites hotel. There is widespread public support for fixing this structurally deficient section of highway and providing for a smoother commute. But state officials also need to think big. If the redesign of the Allston interchange is to reach its full potential, the project should be guided by a school of thought called landscape urbanism. Its proponents argue that civic spaces and greenspaces should be integrated fully with road projects, not introduced as an afterthought. By redesigning and upgrading the highway, the state Department of Transportation will open up 50 acres for future development. Potential uses include housing, biotech, and even an Olympic stadium. But the general public must be accommodated first. Bike and walking trails should be high priorities, as should the creation of a large riverfront park, which could be accomplished by shifting Soldiers Field Road as far away from the riverbank as possible. The state is already committed to the construction of a commuter rail station — West Station — alongside the straightened highway. Activists, including those from the Boston Society of Architects, are wisely urging state officials to connect the new station with Kendall Square by upgrading the graffiti-covered rail bridge that runs below the BU Bridge. A timely upgrade to that rail route could also accommodate bike and pedestrian paths alongside the tracks. “If done right, the narrowest, nastiest, and noisiest thread of Charles River parklands could be transformed into the Allston Esplanade, the next great civic space in Boston,” said Harry Mattison, a board member of the Charles River Conservancy. That’s the charge to state officials. This is not a mere road project.